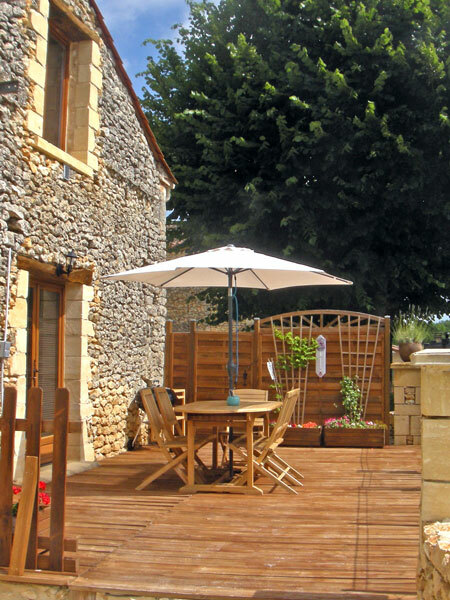 Located mere minutes from the sights, rivers and scenery of the Dordogne – not to mention the food and wine the region is famous for – we’re ideally located for your holiday in France. This is a new gite with a private pool, not far from Le Bugue, Perigueux and Bergerac in a peaceful rural location in the Dordogne, close to the heart of the Dordogne’s numerous tourist attractions. Dean and Debra Fetzer, the owners who live on the property, welcome you to have a look and hope to see you soon!